"So what are you making for dinner? ": Shrimp with Escarole and Jake is Back! 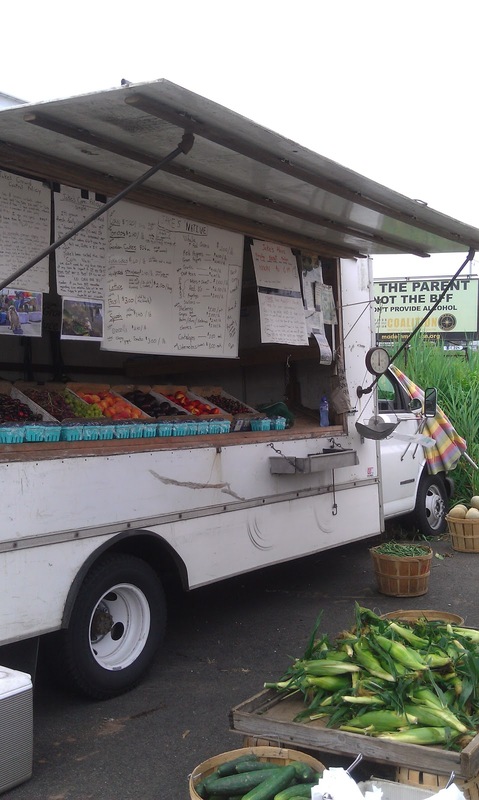 Jake's Farm Stand is open for the season. I picked up "End" corn which is the corn that is planted at the end of the rows. Wow very sweet! Also picked up an amazing head of green leaf lettuce, a cucumber and grape tomatoes that tasted like candy!